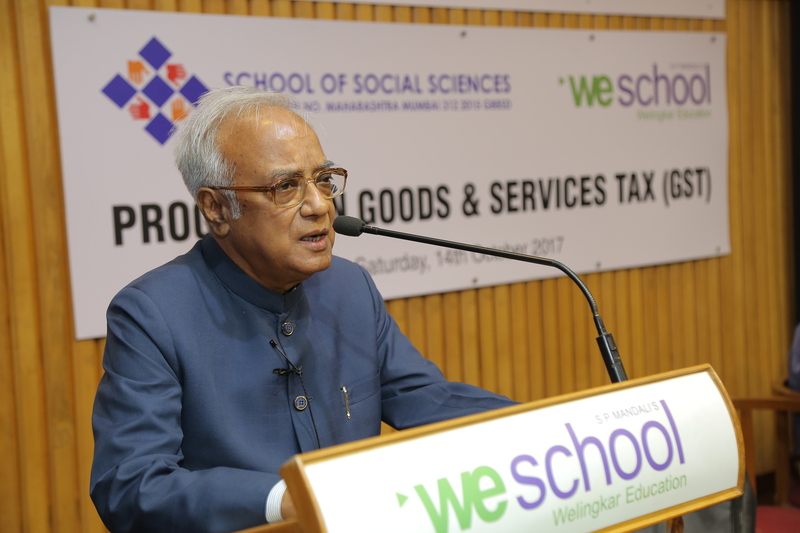 16 October 2017, Mumbai: ‘Good and Services Tax (GST) – Critique, Legislation and Implementation’, a seminar was organised by School of Social Sciences and S. P. Mandali’s Prin. 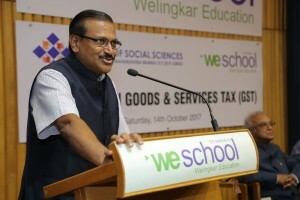 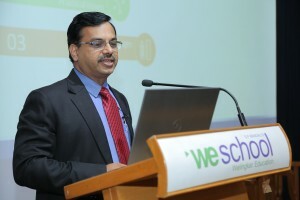 L. N. Welingkar Institute of Management Development & Research (WeSchool). 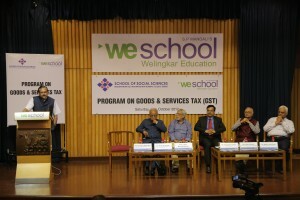 The objective of the event was to deliberate and discuss ‘Good and Services Tax (GST) – the concept, structure, challenges and its full potential to benefit common man at large. 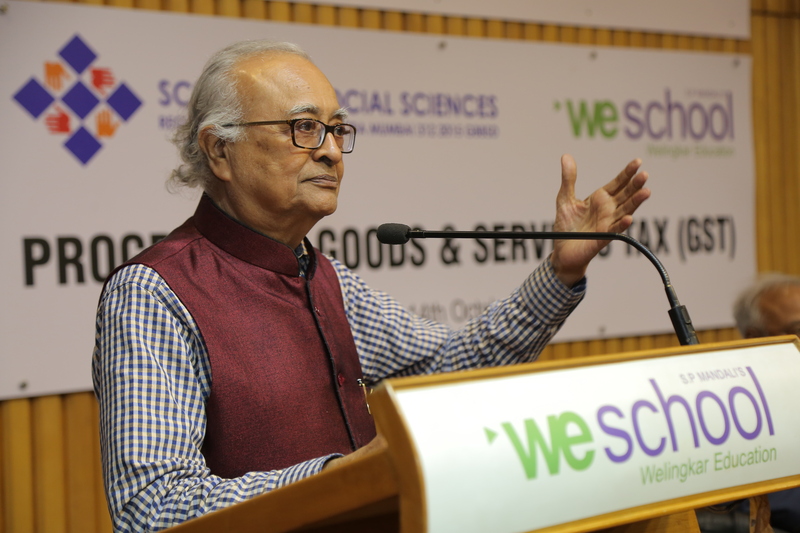 The event witnessed noted gurus from academia and finance sector, such as Shri Ashutosh Thaker, CA, NMAH & Co; Prof. Jiban K Mukhopadhyay, Former Chief Economic Advisor, TATA Group and Prof. Kanu Doshi, Dean Finance, WeSchool, as speakers. 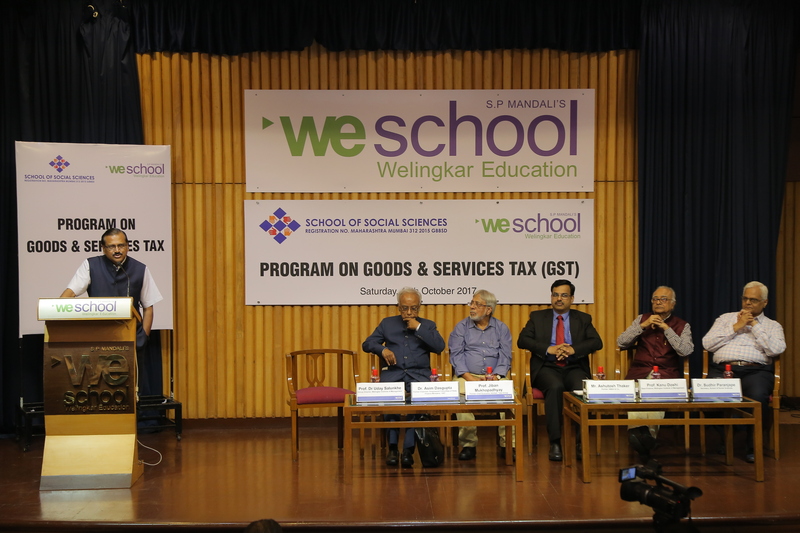 The event opened with Dr. Sudhir Paranjape, Director, School of Social Sciences, setting the context of GST and how the reform has proceeded till now. The seminar ended on an optimistic note that by 2019, all the teething troubles in the implementation will be removed and GST will really become the biggest instrument of economic and social change in India.While Prof Jiban K Mukhopadhyay anchored and summarized the proceedings, Prof Madhu Paranjape proposed a vote of thanks.